Ive been a member of ica for around 9 months and you would not believe how much its articles & advice has helped me in my coaching! !Im Spinning certified but always turn to ica when i need to look up anything that will help my coaching!! I have used many of the profiles which are always popular with my members☺And i have the added confidence of knowing they are effective! I have learnt so much & yes as a studio owner i have regular members who all say they can hear my voice in there heads & have helped them mentally & physically in all parts of there life! 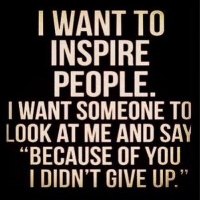 !That means alot to me as an instructor & studio owner. Thank you Jennifer for these articles on Developing Your Own Style. As a newbie to the world of teaching, these articles could not have come at a better time. Awesome. I figured this would help “newbies”. It took me years to figure out…anything we can do to help shorten the learning curve, we’ll try our hardest! Great article:) It has taken me awhile to find my ‘voice’ and now I feel relaxed and sure of myself when I teach. I try to teach each class with integrity…keeping the focus on the participants and their needs. My style is relaxed and I always try to encourage the participants to find an intention/purpose and to focus on that especially when the ride becomes more challenging. Keep sending these great articles. Sometimes it’s crazy getting out at the end of class but i have made it a point to ask for comments, thoughts, suggestions and ideas to be shared and then i write them in my journal including my own important thoughts. If i don’t write it down I’ll forget or miss the dynamic of what was shared. Then when i use that profile again i go back and reread those notes for that class/profile to make changes where needed and keep what was awesome. It’s another thing to keep in my bag of tricks but it sure has been a source i couldn’t do without. Thanks jennifer for giving me so many things to read, learn and add to my journal.